A Charlie Brown Christmas [Snoopy Doghouse Edition CD] is a deluxe package that includes the remastered CD of one of the most popular and beloved holiday albums of all-time, A Charlie Brown Christmas, with 3 bonus tracks not on the original 1965 recording, a 20-page booklet, plus --the highlight of the package-- Snoopy's colorfully decorated doghouse and cut-out replicas of the PEANUTS gang! 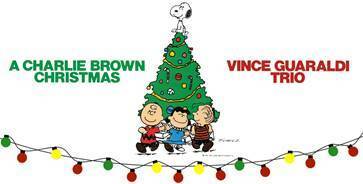 What really sets this edition of A Charlie Brown Christmas apart from its predecessors is its deluxe packaging. 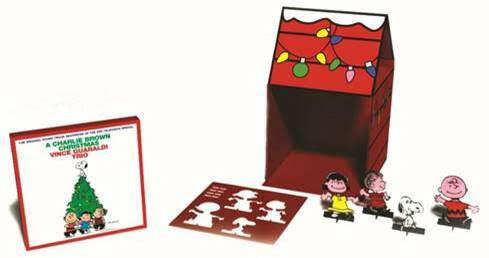 It is called the Snoopy Doghouse Edition as the disc is housed in a customized sleeve that folds out to form a replica of Snoopy s colorfully decorated domicile and comes with cut-out replicas of the Peanuts gang Linus, Lucy, Snoopy, and Charlie Brown himself with stands for each figure so the entire package can sit beneath the tree while A Charlie Brown Christmas spins on the CD player. What better way to merrily celebrate the holidays? Purchase on Amazon for $10.00 & free shipping or pick up in just about any store! I don't watch TV, except on very very rare occasion. But tonight... Charlie Brown and the gang were on TV! I always LOVED it when those holiday specials came on. It was such a treat! The classic "A Charlie Brown Christmas" had all of those magical and memorable moments: Charlie Brown's little Christmas tree, the kids all dancing onstage, the fat snowflakes falling down outside, and of course that incredible music. I LOVE this time of year, but haven't felt much of the holiday spirit, cheer, or joy-- at all. It's been an incredibly rough year (or two or more...). Yet there was something about watching that special this evening that took me back and made me feel like, Okay-- now, 'tis the season.